In the past, traders of the world were only able to deal in fiat currencies. These are currencies that are standardized and regulated by central banks. Fiat currencies have formed the basis of the Forex market. However, there has emerged another form of digital currency that central governments have no control over. This currency is what is known as cryptocurrency. For years now, individuals have been trading in Forex and crypto to realize returns. Both options employ similar trading strategies such as arbitrage, day trading, and long-term investment plans. However, the markets are distinct from each other, and each has its advantages and disadvantages. The Forex market has been around for decades. Towards the end of the 19th century, traders adopted the gold standard whereby a currency’s worth was determined in relation to gold. This standard prompted traders to start exchanging currencies in a bid to make a profit, and this is how Forex trade was born. As technology advanced, people stopped trading money physically and instead adopted an electronic trading system. 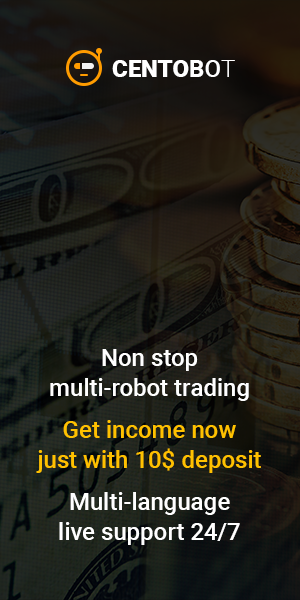 The electronic system is what has evolved to become an international Forex exchange system that allows individuals to trade in currency from all parts of the world. Further advancements in technology led to the introduction of cryptocurrency. In 2009, an anonymous computer programmer invented the first cryptocurrency known as Bitcoin (BTC). The Bitcoin gained acceptance among the digital community, and this caused its popularity to grow. Individuals started trading in crypto and using the digital currency as a medium of exchange. The popularity of BTC led to the emergence of over 113 cryptocurrencies in the market. Forex trading and cryptocurrency trading are in competition regardless of the distinct features of both markets. This competition brings about the argument of the Titans. Forex trading has been around for generations, even though it has evolved over the years. The currencies traded in the Forex market are fiat currencies which are regulated by the central banks. On the other hand, cryptocurrency presents something relatively new and unpredictable. No banks or governments regulate crypto. It is completely decentralized. The inflation of cryptocurrency is decreased by an algorithm when its stock increases. Anyone in any part of the world can acquire cryptocurrency, exchange it, and use it to buy goods and services. Is the competition between Forex and cryptocurrency a clash of new and old? Which is the better market to invest? Investors are faced with a difficult task of choosing between these two markets. However, one cannot base their choice primarily on what’s new and trending or old and predictable. Factors such as the trade volume, liquidity, stability, and leverage should be considered before making a choice. The Forex market is arguably the largest trading marketplace today. The Forex market has a daily trade volume of around $5.1 trillion. On the other hand, cryptocurrencies have a total trade volume $7.1 billion which is only 0.1% of the market share as compared to Forex’s 99%. Simply put, the crypto market is microscopic in comparison to the Forex market. The larger the trading market, the more the liquidity and stability that it enjoys. However, this does not mean that crypto is undesirable. The currencies, especially BTC, have piqued the interest of investors. In 2017, the value of 1BTC rose to $4,000 with a total market value of $70 million. The Forex market has the largest share, and this means that investors can enjoy more stability and liquidity. There is increased diversity and traders can pair major and minor currencies in their trades to maximize the ROI. However, the Forex market lacks price volatility. Additionally, one requires the help of a currency trading broker to maneuver the market at the start and reduce the risk of losing their investment. On the other hand, cryptocurrency has high volatility, and this makes it possible for investors to enjoy substantial profits. The transaction costs of trading in crypto are low, and individuals can easily enter and exit the market through direct access or brokers. The lack of institutional involvement makes cryptocurrencies favorable to traders. However, since traders hold digital wallets, they are at risk of getting hacked and losing their coins. Both Forex trading and crypto trading has desirable advantages, and they are profitable investments for traders. The choice between the traditional Forex market and the revolutionized crypto market with digital currency solely relies on an investor. There is a need to weigh the benefits against the risk before engaging in any of these markets. That’s because both profits and losses are existent in both worlds, and only the sound investors get to enjoy a high ROI.